The Everyday Series 365 Ways to a Better You is your pocketbook personal trainer that will guide you through a yearlong program of self-improvement Each book in this series offers daily exercises, activities and reflections to practice and slowly integrate into your lifestyle. Some days the tasks are very practical, other days they require mental endeavour or set you exploring your creativity. The tasks are designed to be manageable and achievable, and each book includes the monthly checklists to track your progress. With daily prompts on a diet, sleep, relaxation, mindset, routine, personal interaction, leisure, creativity and special words from the gurus. Wellness coaching is an emerging and vibrant area of healthcare. It takes healing beyond the curing of symptoms and empowers clients to take their health back into their own hands. This book provides therapists with the knowledge and skills to rejuvenate and modernize their therapeutic practice by incorporating wellness coaching techniques into their range of services. Laurel Alexander redefines wellness as an integrated lifestyle and mindset process and shows that wellness coaching can be a profound and practical way to help clients make meaningful changes to their health. 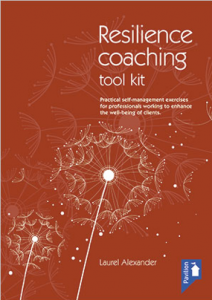 The book offers a wellness coaching toolbox, explaining key skills such as how to create an organic personal wellness plan, how to build client rapport, and how to apply different coaching models effectively to guide each client towards better health and wellbeing. With shrewd advice and useful insights, this book is an essential resource for complementary therapists and counselors looking to update their existing practice and tap into the rapidly expanding wellness market. This book is virtually a course in Wellness Coaching in itself and should enable any existing talking therapist to begin to incorporate it into their practice with very little difficulty. Laurel Alexander has been a therapist, coach, trainer, and writer for over twenty years and brings a wealth of experience to the techniques outlined in the book. Not only are there sections on how to use the many techniques she includes, but also available are several very useful forms which can be downloaded from a website to save valuable time and effort typing them out for your use. Laurel also includes some very interesting case studies to demonstrate the use of some of the methods she outlines in the book. There is a very interesting section on Cognitive Behavioural Coaching, which she is quick to point out is not a substitute for treatment from a CBT trained practitioner (she recommends doing a course if you wish to go to the CBT route) but seems to be very useful as one of the many tools used within Wellness Coaching. The book has a liberal sprinkling of charts and inside tips throughout its pages to make earning simpler. Also included are many valuable suggestions for improving your business through better marketing, image projection, etc. 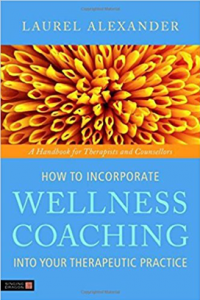 All in all, this book is very comprehensive, easy to understand and extremely helpful to any therapist wishing to add Wellness Coaching to an existing business. Fidelity Journal, a publication for the National Council of Psychotherapists. Menstruation, or moontime, is special for a woman and shifts in mind, body, and spiritual energy can cause both challenge and opportunity. This practical health guide reconnects women to the experience of an important stage of human development. The book examines and teaches how to work with the different menstrual energy patterns through natural self-help strategies that include nutrition and herbs, the Triple Goddess, meditations and imagery, vibrational healing using quartz crystals and flower essences, and hand reflexology. Using a down-to-earth, nature-connected approach to menstruation, women will learn to embrace this essential process of their womanhood. Like menopause, pregnancy brings about profound shifts in mind, body, and spiritual energy that create challenges and opportunity. This second book in the series offers sage advice for working with these shifts, a broad range of techniques that will connect those expecting with the joyful rite of passage in womanhood while helping them move towards a positive birth experience. These self-help strategies span from the physical, such as nutrition, diet, and herbs, to the mental through meditation, imagery and ritual to help calm and focus the mind, as well as the more esoteric, such as using crystals, flower essences, and archetypes of the Goddess to balance the subtle energy system. Discover how nutrition and herbs can ease menopausal symptoms. Discover how to celebrate and work with your experience of the Dark Goddess (primordial womb). Discover how vibrational healing, including quartz crystals and flower essences, can be helpful in your menopausal journey. Shifts in the mind, body, and spiritual energy can be as much of an opportunity as a challenge. Erasing the Stigma that is often attached to the transitional period of menopause, experiences of the Dark Goddess are explored and embraced. Alexander highlights an exhaustive list of helpful strategies, including nutrition and herbs, meditations and imagery, flower essences, vibrational healing through quartz crystals, reflexology, and more. Celebrating a reconnection with natural life cycles, she explores thought-provoking suggestions for envisioning this profound change as a valuable rite of passage into the wisdom years. Psychological resilience could be defined as an individual’s ability to successfully adapt to life tasks in the face of adverse conditions. Resilient people don’t dwell on failures – they acknowledge the situation, learn from their mistakes and move on. This flexible training pack is designed to be used in one-to-one sessions as well as for group work. It teaches the Resilience Coaching Model, a non-directive approach whereby the facilitator encourages the learner(s) in the proactive self-management of resilience. Using this proactive approach, learners will be able to: make a conscious decision to shape a resilient lifestyle- assume responsibility for the quality of their life- adopt a series of key principles in varied life areas which could lead to high levels of resilience- understand that resilience is the integration of mind, body, and spirit- make changes to enhance their resilience- understand what motivates them to lead the lifestyle they’ve chosen- learn the difference between what they can change and what they cannot, and focus their energies wisely- develop a resilient lifestyle which will allow them to revitalize and re-energise themselves so that they can continue to thrive in the face of the demands of life- prepare to cope with change- learn how to control their thoughts and emotions- be aware of and be in tune with the flow between external productivity and rest periods- create a sense of connections and meaning in life.